The academic year is divided into 2 semesters, each of them with duration between 13 and 15 weeks (October through June). These semesters are usually separated by a short vacation in addition to non-study periods around official holidays such as Christmas and Easter. Each semester is followed by an exam session with the specific number and date of the exams announced by the faculties in specified periods for the university. 2001 – VFU successfully passes the Quality Management System certification audit and receives the appropriate certificate for compliance with the ISO 9001:1994 world standard, with the certification signs of ANSI RAB (USA), DAR (Germany), RVA (Holland), and UKAS (UK). 2004 – VFU successfully passes the Quality Management System re-certification audit and receives the appropriate certificate for compliance with the world standard ISO 9001:2000. 2006 – VFU acquires institutional accreditation with the highest grade and for the maximum period of 6 years granted by the National Agency for Evaluation and Accreditation at the Council of Ministers (27.06.2006). 2010 - VFU successfully passes the Quality Management System re-certification audit and receives the appropriate certificate for compliance with the world standard ISO 9001:2008. 2010 - VFU was awarded the European Credit Transfer and Accumulation System Label by the Education, Audiovisual and Culture Executive Agency (EACEA). 2012 - VFU was awarded with HR Logo. The HR Excellence and Research Logo is awarded by the European Commission to universities, research and funding organizations abiding by the principles provided for in the European Charter for Researchers and the Code of Conduct of Recruitment of Researchers. 2013 – VFU successfully passes the Quality Management System re-certification audit and receives the appropriate certificate for compliance with the world standard ISO 9001:2008, (until 28.02.2016). with accreditation of UCAS - Greate Britain and ANAB – USA. VFU "Chernorizets Hrabar" provides education to up to 10 000 students studying at the various faculties, majors and modes of study in accordance with the Classification of Higher Educational Areas and Professional Fields. VFU’s academic staff comprises approximately 500 lecturers from all scientific spheres of knowledge. (1) Educational and qualification degree "bachelor"
(2) Educational and qualification degree "master"
(3) Educational and qualification degree "doctor"
The admission exams are prepared in agreement with the entry level requirements of each specialty. Taking an entrance exam is covered by an exam fee. Only students that have successfully passed the exams required for the respective specialty are rated. The newly admitted students are registered in the time terms set in the academic calendar of VFU "Chernorizets Hrabar". Foreign citizens apply for paid full-time tuition by a scholastic achievement competition according to the requirements of the Regulations for the state requirements for the admission of students in the institutes of higher education of the Republic of Bulgaria. All documents should be legalized, translated and certified in accordance with the requirements of the international agreements of the Republic of Bulgaria with the country of their origin. In cases when no such agreements have been signed the requirements of the general procedure of legalization, translations and certification of documents and other papers should be followed. The applicants willing to enroll in Bachelor’s or Master’s degree programmes after completing their secondary education should submit their application documents to VFU no later than September 1 of the year for which they are applying. In accordance with the Law for the higher education in the Republic of Bulgaria all foreign students study attend an intensive course in Bulgarian language taught by a special syllabus for language and specialized training of foreign students in the Department or Foreign Languages. The language course is not shorter than 9 months and ends with a written and oral exam taken before an examination board. The specialized training ends with exams in all subjects on the curriculum taken before an examination board. Students who have completed successfully their language and specialized training are issued a certificate approved by the Minister for the education and science. • If they have a refugee status. The use of ECTS for lifelong learning enhances the transparency of learning programmes and achievements not only when it comes to the main higher education degrees (bachelor, master or doctorate) but for all types of learning activities provided or learning outcomes recognised by higher education institutions. The fact that all learning achievements are documented and awarded a corresponding number of ECTS credits makes it possible for learners to have this learning recognised with a view of achieving a qualification, when these learning outcomes satisfy the requirements of the qualification. When using ECTS for continuing education, the same principles for credit allocation, award, transfer and accumulation apply. Like for credits allocated to components which are part of programmes, credits allocated to continuing education are based on the workload typically needed to achieve the expected learning outcomes. Credits awarded for continuing education may be recognised and accumulated towards a qualification or not, depending on the desire of the learner and/or the requirements for the award of the qualification. Some learners may only be interested in following a particular educational component without wishing to obtain the qualification. The recognition of non-formal and informal learning should be automatically followed by the award of the number of ECTS credits attached to the corresponding part of the formal programme. The number of credits awarded should be the same as the credits allocated to formal educational components with comparable learning outcomes. As with formal education, the award of credit is preceded by an assessment to verify the achievement of learning outcomes. The assessment criteria and associated methods should be constructed so as to measure the achievement of the required learning outcomes at the ppropriate level, without reference to specific learning activities. Initial advice and guidance (what does the process involve for the learner, what credit limits there are for non-formal/informal learning, what are the costs, roles and responsibilities of learner and tutor/advisor; and different learning pathways to qualification). Recognition/assessment ( assessment of evidence of achievement of learning outcomes and assessment criteria). For the recognition of prior learning, the applicant should meet the ECTS-coordinator of the respective Department in order to receive initial information and directions for the possibilities for recognition and awarding credits for prior learning – formal, informal and non-formal. International diplomas and certificates in computer skills corresponding to ECDL (The European Computer Driving Licence). B) Certification of knowledge and skills in Foreign Language at the Department of Foreign Language Teaching in Russian, English, German and French. Before the beginning of the academic year, students submit a sample application form for the certification of knowledge and skills in a foreign language at the Department of Foreign Language Teaching or the Career Centre. 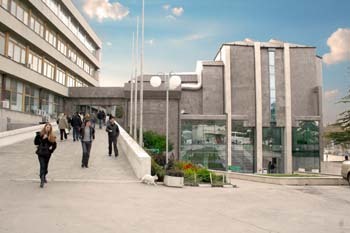 C) Certification of computer skills at the Department of Informatics and the Technological Institute. Before the beginning of the academic year, students submit a sample application form for the certification of computer knowledge and skills at the Department of Informatics or the Career Centre. D) Certification of specialized knowledge and skills for the professional area at the respective Department – passing an examination on a given course. Before the beginning of the academic year, students submit a sample application form for the certification of knowledge and skills at the respective Department. E) Awarding credits by the respective Department corresponding to the study components of the major on the base of certified practical skills in the professional area. In the case of agreed student mobility, the three parties involved – the home institution, the host institution and the student – should sign a Learning Agreement for mobility prior to the mobility period. In such cases, recognition of the credits by the home institution is automatic if the conditions stipulated in the learning agreement have been fulfilled. All learning components to be followed abroad should be listed in the Learning Agreement. Where a student is awarded credits for learning components other than those specified in the Learning Agreement it is up to the home institution to decide whether or not to recognize these. In case of changes to the programme of study agreed with the learner, the Learning Agreement may be amended, but the amended version must be signed again by the same three parties concerned within an agreed period of time. For periods of study abroad or in another institution based on a Learning Agreement there is full academic recognition from the home higher education institution for credits achieved during the study period aboard, in accordance with the Learning Agreement,31 without duplication of assessment procedures. For periods of study abroad or in another institution without a Learning Agreement – fair recognition of credits awarded during that period of study and consideration of them with respect to the award of a qualification. Invoice for a paid fee for sitting an entrance examination. All application documents are submitted at the Pre-enrolment office/Application Office of Varna Free University "Chernorizets Hrabar". Academic transcript of records or a diploma from prior learning (if available). The European Community promotes university collaboration as one of the ways to effectively enhance the quality of education thus helping both students and educators. It is a universally acknowledged fact that student mobility is a central issue in the process of academic collaboration. The European Credit Transfer System (ECTS) has been developed by a Commission set up by the European Community with the intention of supplying the academic world with common criteria and guarantee academic recognition of one’s home education abroad. Utilization of ECTS-credits for the designation of study workload for each university specialty and course. ECTS do not attempt to regulate course content, the structure or equivalency of study programs. The period of study abroad (exams and other forms for evaluation of cumulative knowledge included) substitutes completely for the educational process at home and furthermore a certain margin of differentiation of the curriculum at the partner-universities is acceptable, when it is agreed upon beforehand. ECTS credits are based on the workload students need in order to achieve expected learning outcomes. Credits are a numerical expression of study workload while students attend classes at a given university. They are the aggregate value, divided among the different subjects, and they represent the quantity of work each student has to complete on a single subject as part of the full amount of study needed for the successful completion of a whole academic year at the corresponding institution. ECTS-credits include lectures, exercises, seminars, self-study (library work and writing of homework), examinations and other forms of evaluation. ECTS-credits represent relatively (not absolutely) the study load. Learning outcomes describe what a learner is expected to know, understand and be able to do after successful completion of a process of learning. They relate to level descriptors in national and European qualifications frameworks. Workload indicates the time students typically need to complete all planned learning activities, such as attending lectures, seminars, preparation of projects, practical work, self-study and examinations, etc., required to achieve the expected learning outcomes. Universities retain the right to decide how to divide the total number of credits among the different subjects. To be awarded the Bachelor’s Degree in an undergraduate course of study, a student needs 240 credits, equivalent to a 4-year course of study. 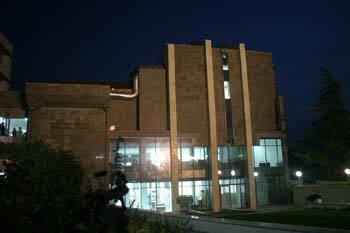 In Varna Free University "Chernorizets Hrabar", one credit equals 30 hours of student workload, which includes 10 contact hours (lectures and seminars) and 20 hours of independent work. How ECTS credits are used? Credits are allocated to entire qualifications or study programmes as well as to their educational components (such as modules, course units, dissertation work, work placements and laboratory work). The number of credits ascribed to each component is based on its weight in terms of the workload students need in order to achieve the learning outcomes in a formal context. Credits are awarded to individual students (full-time or part-time) after completion of the learning activities required by a formal programme of study or by a single educational component and the successful assessment of the achieved learning outcomes. Credits may be accumulated with a view to obtaining qualifications, as decided by the degree-awarding institution. If students have achieved learning outcomes in other learning contexts or timeframes (formal, nonformal or informal), the associated credits may be awarded after successful assessment, validation or recognition of these learning outcomes. Credits awarded in one programme may be transferred into another programme, offered by the same or another institution. This transfer can only take place if the degree-awarding institution recognizes the credits and the associated learning outcomes. Partner institutions should agree in advance on the recognition of periods of study abroad. Credit transfer and accumulation are facilitated by the use of the ECTS key documents (Course Catalogue, Student Application Form, Learning Agreement and Transcript of Records) as well as the Diploma Supplement. The European Credit Transfer System (ECTS) guarantees international academic recognition of domestic education as shared methods for evaluation of demonstrated student knowledge in the process of learning allows for its equalization among the different institutions of higher education. ECTS ratings enhance but do not substitute the informational value of the existing domestic rating system. Students’ knowledge and skills are evaluated in accordance with a six-point grading system: excellent (6), very good (5), good (4), satisfactory (3) and fail (2). An exam is considered successfully passed if the student has earned a minimum result of "satisfactory (3)". Since 2004, ECTS grading has been applied to all students along with the national system grading. Credit transfer and accumulation are facilitated by the use of the ECTS key documents – Informatin Package/Course Catalogue, Student Application Form, Learning Agreement and Transcript of Records as well as the Diploma Supplement. The Informatin package/Course Catalogue must contain the items of the checklist including information for host students from abroad. The Student Application Form is a document which expresses the student’s willingness to study in the corresponding institution and contains personal data for a student. The Learning Agreement contains the list of courses to be taken with the ECTS credits which will be awarded for each course. This list must be agreed by the student and the responsible academic body of the institution concerned. In the case of credit transfer, the Learning Agreement has to be agreed by the student and the two institutions concerned before the student's departure and updated immediately when changes occur. The Transcript of Records documents the performance of a student by showing the list of courses taken, the ECTS credits gained, local or national credits, if any, local grades and possibly ECTS grades awarded. In the case of credit transfer, the Transcript of Records has to be issued by the home institution for outgoing students before departure and by the host institution for incoming students at the end of their period of study. The Diploma Supplement is a document attached to a higher education diploma providing a standardised description of the nature, level, context, content and status of the studies that were pursued and successfully completed by the graduate. The Diploma Supplement provides transparency and facilitates academic and professional recognition of qualifications (diplomas, degrees, certificates). The European Diploma Supplement is issued to the holders of the educational-and-qualification degree Bachelor and Master free of charge.. The Diploma Supplement is issued in a widely spoken European language, provided automatically and free of charge to every student upon graduation, and includes a filled-in example. First academic guidance students receive during the Orientation days held for first-year students at the beginning of each academic year. Information on their training students receive from the site of the university, deans of faculties and heads of departments, secretaries of departments. When entering the university - students receive a Fresher’s guidebook with the necessary information for their training. For first-year students Orientation days are held every year during which they are acquainted with the facilities, library, Dean and department management. Assistants professors and other undergraduate students acquaint freshers with the regulations, rules and their upcoming training. Regular meetings with ECTS-coordinators in the faculties are organized. Regular information days about the possibilities of the Erasmus programme which are provided for the current academic year are held. For international internships and work placements information is obtained at the Career Centre. Regular meetings of the Department and Faculty management with students in charge of groups are held. Regular meetings of the Academic management with the Student Council are held. Lecturers have a schedule for contact hours with students during the semester announced at the departments.